Let us embark on a journey to discover the beauty of basic sciences and mathematics and its applications in daily life. Engineering, after all, is application of physical sciences and mathematics. Let us therefore learn, enjoy and master the depths of basic Physics, Chemistry and Mathematics. We specialize in imparting an in-depth knowledge to deserving high school students through our special classroom training programs. 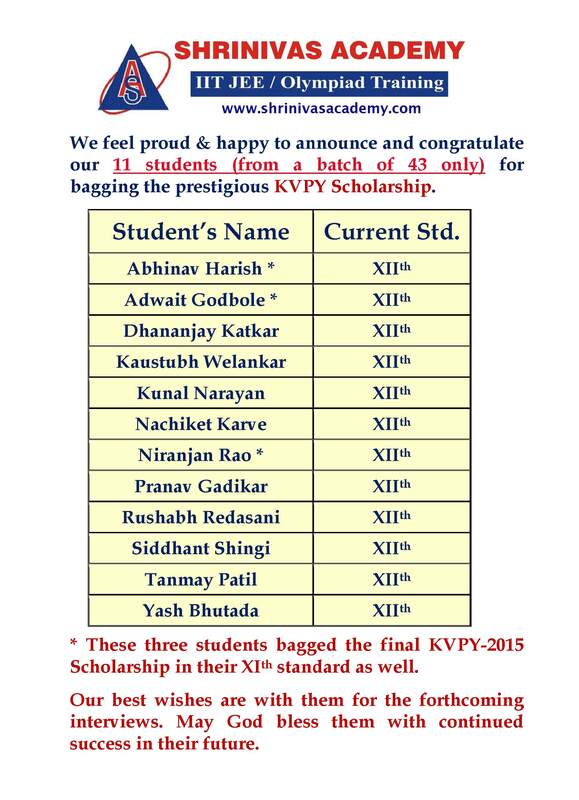 Our 12 students bagged the Final KVPY-2016 Scholarship. Click here for details. 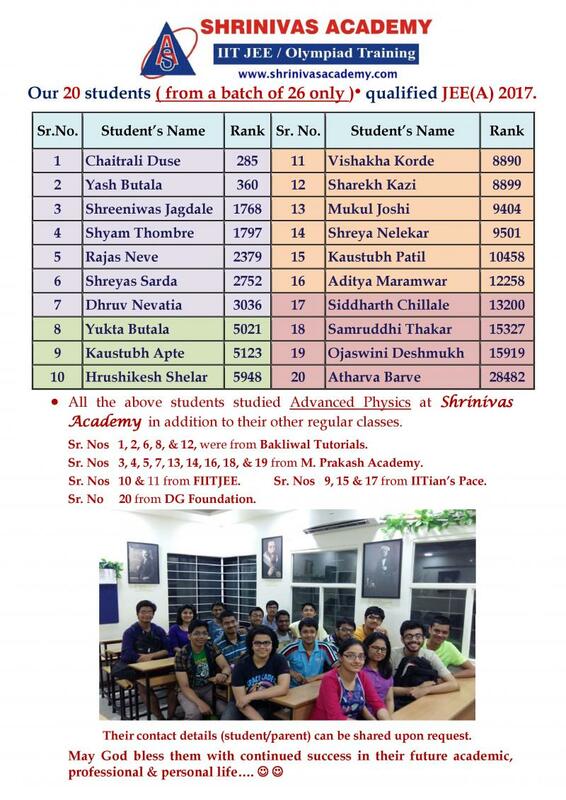 Click here for Physics Foundation Program for students entering IXth standard from June-2019. Click here to know about our 2 Year Training Program in Advanced Physics for KVPY, JEE (Adv)-2021, Olympiads. Acquiring deep knowledge in the subject. Enhancing logical & analytical thinking. Creating a homogeneous classroom environment. Feeding the quest of an enthusiastic and hard-working student. Copyright 2014 Shrinivas Academy. All rights reserved.